For this week's giveaway, we've teamed up with ColorWare to offer MacRumors readers a chance to win a set of custom-painted AirPods that have been designed to look like a classic Macintosh. The AirPods Retro case has been painted a soft beige shade that matches the design of Apple's earliest computers, with gray lines representing faux vents. There's also a rainbow colored button at the back that mimics the classic rainbow-colored Apple logo, and an all-over matte finish. ColorWare has painted the AirPods themselves a nice matching beige color, for an overall look that's sleek and a throwback to the early Apple design language all at once. AirPods Retro, priced at $399, aren't cheap, but you're not going to find AirPods that look like this anywhere else. These are also a limited edition from ColorWare and won't be available to purchase for long. ColorWare has been offering custom-painted electronic accessories for years now and has established itself as a company that offers impeccable quality thanks to years of experience perfecting the painting process. 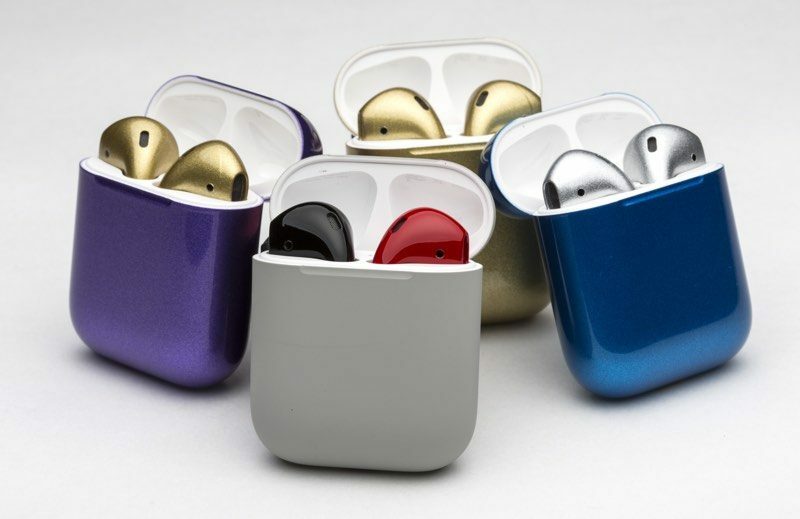 ColorWare uses a coating process that includes a primer, an application of a proprietary color formula, and an X2 liquid plastic coating that protects the new color for all of its AirPod paint jobs, and speaking of other paint jobs, ColorWare also offers custom AirPod painting in a range of colors. Pricing for a custom paint job starts at $299, and ColorWare is now one of the only companies offering custom AirPod painting. Because ColorWare is using traditional AirPods for the Retro AirPods paint job, full AirPods functionality is intact, with a W1 chip for easy pairing, a long battery life, a built-in accelerometer for ear detection, iCloud support for quick device switching, and support for gestures. 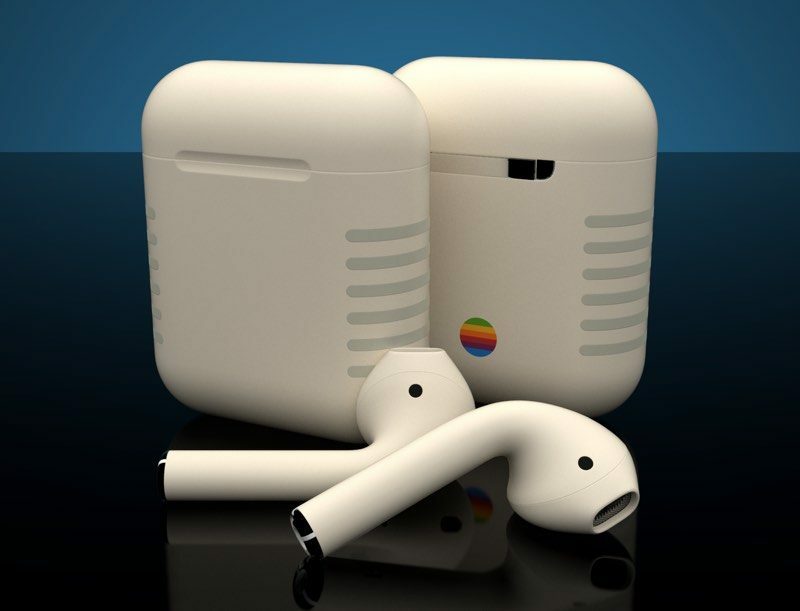 We have one set of AirPods Retro to give away to a MacRumors reader. To enter to win, use the Rafflecopter widget below and enter an email address. Email addresses will be used solely for contact purposes to reach the winner(s) and send the prizes. You can earn additional entries by subscribing to our weekly newsletter, subscribing to our YouTube channel, following us on Twitter, or visiting the MacRumors Facebook page. a Rafflecopter giveawayThe contest will run from today (August 10) at 11:00 a.m. Pacific Time through 11:00 a.m. Pacific Time on August 17. The winner will be chosen randomly on August 17 and will be contacted by email. The winner will have 48 hours to respond and provide a shipping address before a new winner is chosen. Can anyone confirm these giveaways are even real? I've seen posts in these threads where forum members mentioned they have won in these contests and received their prize. Edit: Here are a few comments I was able to find. Not gonna lie, as much as I dislike the look of the actual AirPod, that case color... the matte finish... that retro design... yeah, that's fire. The matte finish and off white color even look good on the AirPod. 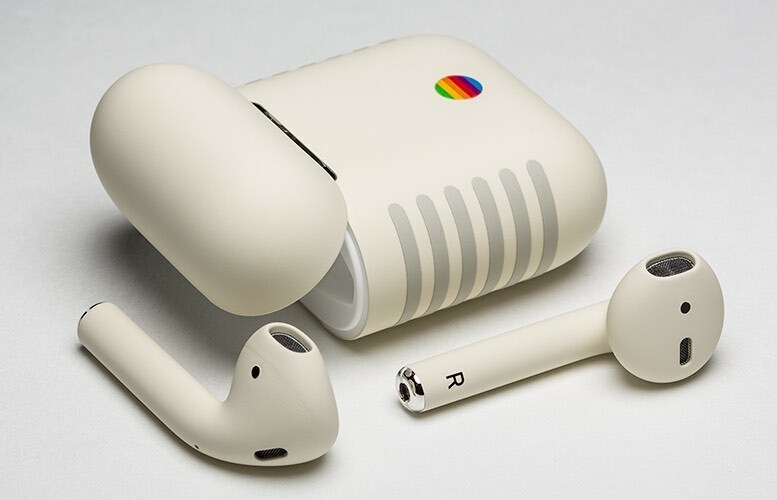 I do have to say, these look kind of awesome - not only the retro tie-in, but one of the few things I dislike about the AirPods is, whenever I see someone with them, they really really stand out, with their blinding pure white finish. I'd be happier to have some if they didn't attract attention to themselves so much. (I'm a little surprised Apple hasn't offered them in black yet, but the ones I'd really like from Apple would be something like a 50% gray, not too bright, not too dark, to draw less attention to themselves). Wish the AirPods case had a textured matte finish. (I'm a little surprised Apple hasn't offered them in black yet, but the ones I'd really like from Apple would be something like a 50% gray, not too bright, not too dark, to draw less attention to themselves). Sorry to be the bearer of bad news but... I doubt this "less attention drawing" set of AirPods will ever happen. Apple loves the brand recognition and attention the brightly-colored AirPods gives them. Much in the same way the white, wired Apple earbuds were instantly recognizable in the iPod's heyday. Why would Apple ruin free advertising for themselves? I have posted again and again. I have won this one ('https://www.macrumors.com/2017/08/18/macrumors-giveaway-zip-brief-waterfield-designs/'). Space Gray. Space Freaking Gray. C'mon Apple, I really like my AirPods but I'd like them more if they matched my iPhone, my iPad, etc. What is support for gestures? Tapping. I set mine to double-tap left for Siri and double-tap right for play/pause.